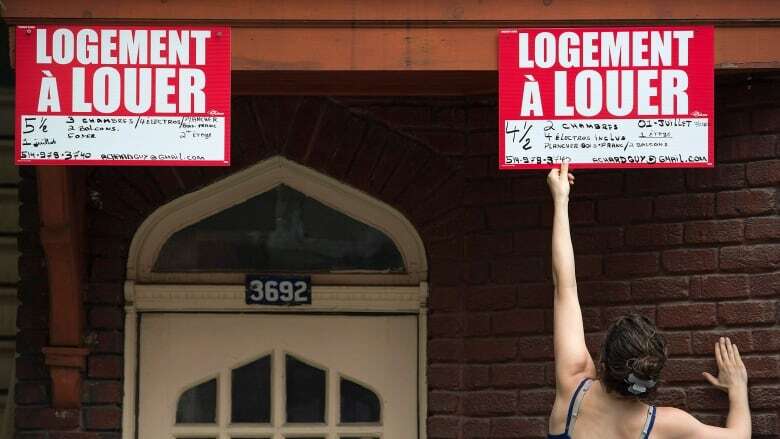 Driven by increased demand and rising housing prices, Montreal's rental market has become increasingly competitive, leaving low-income families especially vulnerable. A new report from the Canada Mortgage and Housing Corporation shows the city — long viewed as a haven for cheap, roomy apartments — has seen its vacancy rate tighten for the second consecutive year. The rate in the Montreal area dropped to 1.9 per cent in 2018, compared to 2.8 per cent a year earlier. The shortage is particularly acute for larger, two and three-bedroom apartments. Housing advocates view anything below three per cent as concerning. "The demand is so strong right now," said Francis Cortellino, an economist with CMHC. "There's more supply and yet the vacancy rate is lower." The report says an influx of international arrivals, including refugees, foreign students and temporary workers, has contributed to the rise in demand. As well, young households are turning to the rental market as housing prices grow further out of reach for many. The tightening vacancy rate comes despite an increase in supply. There were 7,500 new rental units added in the past year, as developers sought to fill a demand among the aging population, the report said. Montreal remains a renter's market by comparison to other Canadian cities. In October, Vancouver had the highest average monthly rent for a two-bedroom apartment at $1,649, followed by Toronto at $1,467. By comparison, the average rent for the same-sized apartment in Montreal, which has stricter rent-control measures, was $802. The vacancy rates in those cities are also tighter — one per cent in Vancouver and 1.1 per cent in Toronto. Still, the social housing group FRAPRU warned that the rental shortage will likely get worse in Montreal, saying low-income families in particular are likely to be forced into smaller, unsuitable accommodations. "The situation clearly demonstrates the urgency of releasing funds to revive the development of social housing in Quebec," spokesperson Véronique Laflamme said in a statement. The Plante administration has pledged to build or renovate 12,000 affordable housing units by 2022.